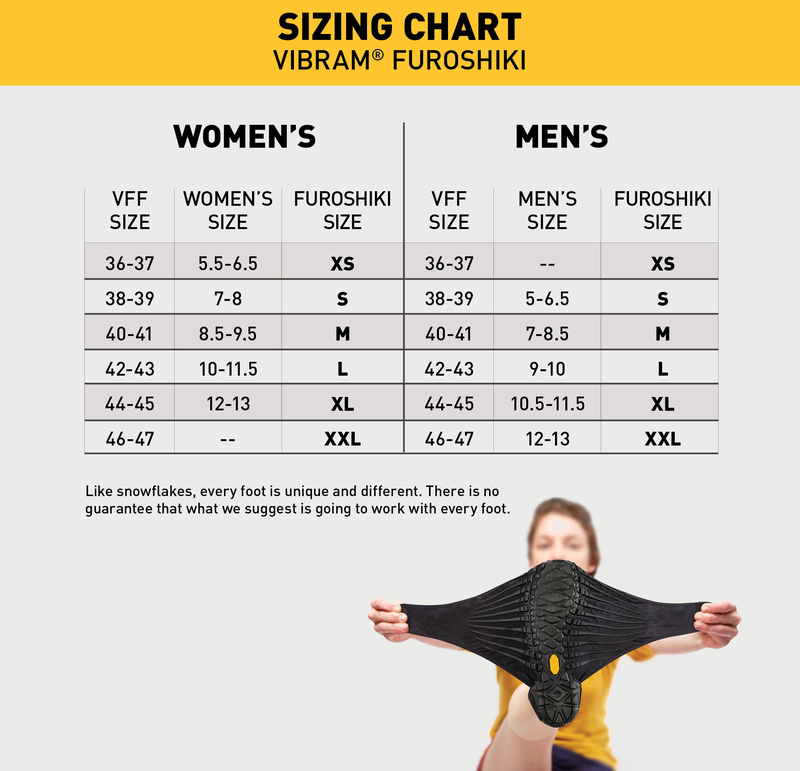 New from Vibram. Now in Winter Neoprene boots. Our latest and greatest innovation in alternative footwear! Take it Everywhere ... for everywhere you go and everything you do, there's Furoshiki!. Our latest addition to the Furoshiki Collection! Our Neoprene boots provide added comfort and warmth to the wrapping sole concept, offering a luxurious, snug fit for hanging out around the home or traveling out and about!